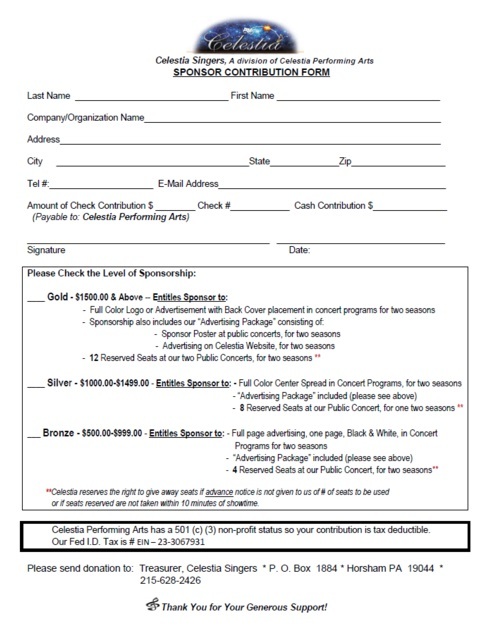 is a non-profit corporation existing to provide wholesome entertainment in our community. 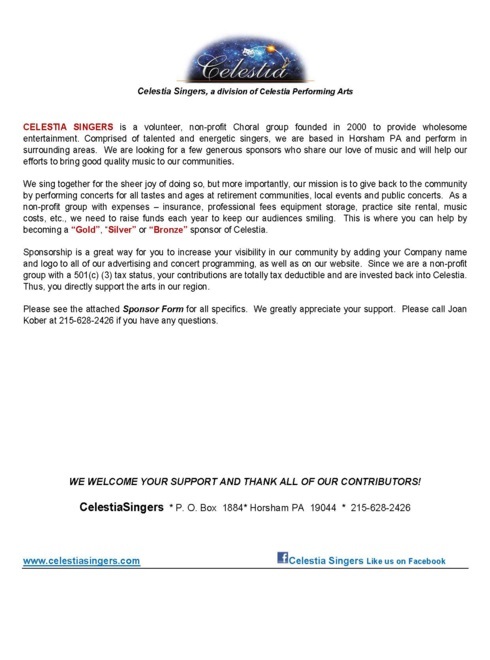 Your tax-deductible donations are invested back into Celestia, and thus, directly support the arts in our region. 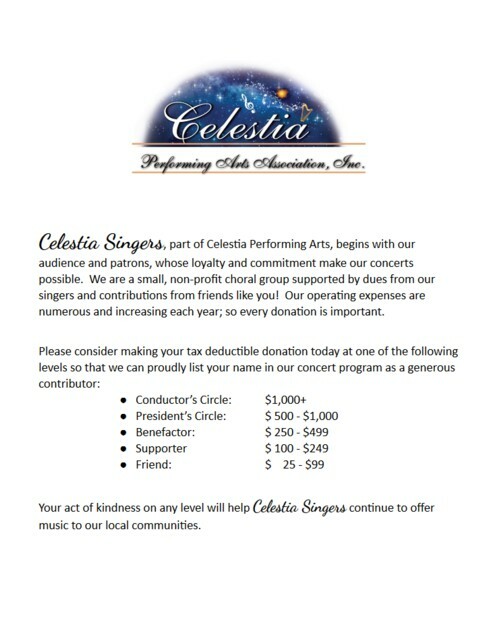 Did you know that your gifts to Celestia are tax deductible? 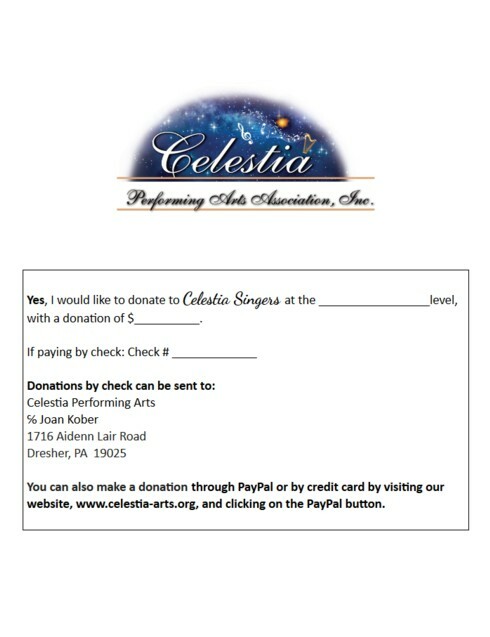 Celestia Performing Arts Association, Inc. is a nonprofit 501(c)(3) organization - that means that your gift is tax deductible as a charitable contribution to the fullest extent allowed by law. Thank you for helping Celestia - your gifts are greatly appreciated. Celestia is always appreciative of corporate sponsorship! If you would like to explore this, the following two pages are available as PDF forms, simply click on the image.